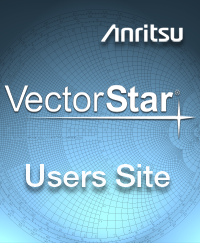 The VectorStar™ family is Anritsu's Premium VNA line, providing the highest overall performance on a modern platform. 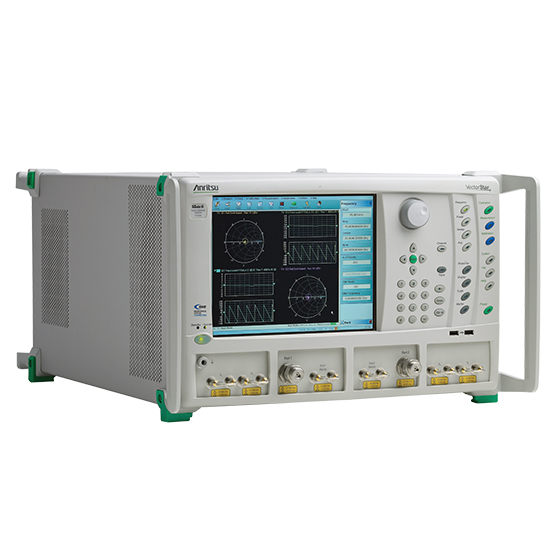 The MS4640B VectorStar VNA offers the broadest coverage in a single instrument, 70 kHz to 70 GHz. The additional two decades at the low end are even more impressive than the guaranteed 70 GHz coverage on the high end. IMDView™ provides active menu sidebar with real time measurement display while modifying critical IMD parameters. The internal combiner option offers single connection testing of active devices for automatically switching between S parameter and IMD measurements without the need for reconnecting the DUT. PulseView™, when combined with the innovative IF digitizing option, offers industry-leading 2.5 ns pulse resolution and 100 dB dynamic range with no compromises or trade-offs due to varying duty cycles. PulseView provides real time display of pulse measurements while dynamically modifying pulse parameters for immediate design validation. The noise figure option is based on a cold source technique for improved noise figure measurement accuracy. VectorStar is the only VNA platform capable of measuring noise figure from 70 kHz to 125 GHz and available with an optimized noise receiver for measurements from 30 GHz to 125 GHz. Additionally, VectorStar is the only VNA that offers a Differential Noise Figure option for characterizing the noise figure of differential devices. 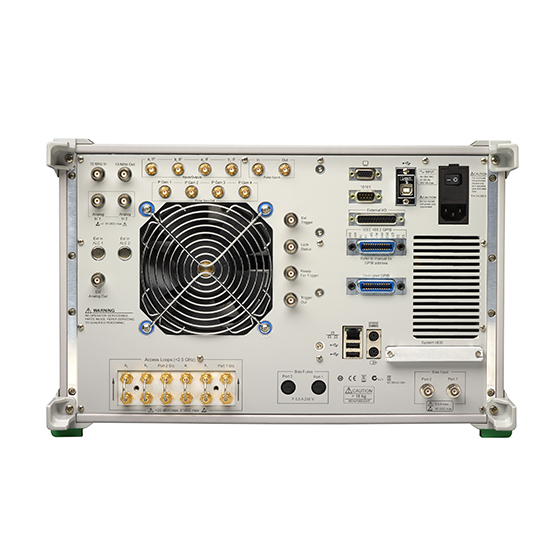 For broadband applications, the ME7838 Series offers superior performance and coverage spanning a range from 70 kHz to 110 GHz, 125 GHz and 145 GHz in a single coaxial test port. The Anritsu developed Non-linear Transmission Line mmWave module is compact while providing high performance up to 145 GHz. 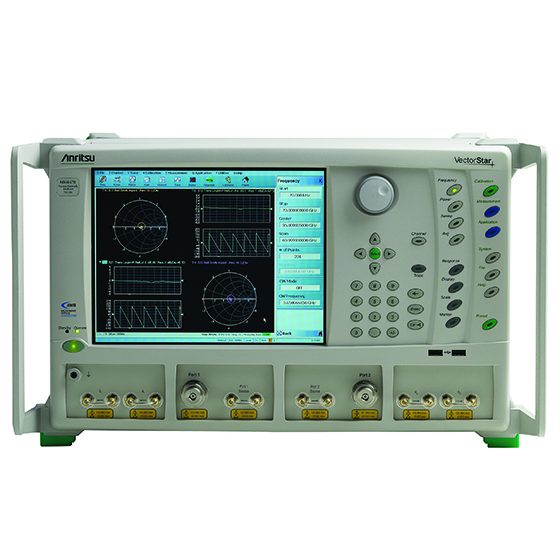 The Anritsu MS4640B Vector Network Analyzer offers a new level of performance for device modeling engineers struggling to accurately and reliably characterize their devices, for R&D engineers pushing the last fraction of a dB out of their state-of-the-art designs, and for the manufacturing engineer trying to maximize throughput without sacrificing accuracy. Backed by a 3-year warranty and the most responsive sales support team, the MS4640B is the VNA of choice for the discerning engineer. Universal Fixture Extraction (UFX) software option provides advanced de-embedding tools for test fixture extraction. The VectorStar Users Site is a location where you can obtain Software, O/S Patches, and needed Utilities for your VectorStar instruments. 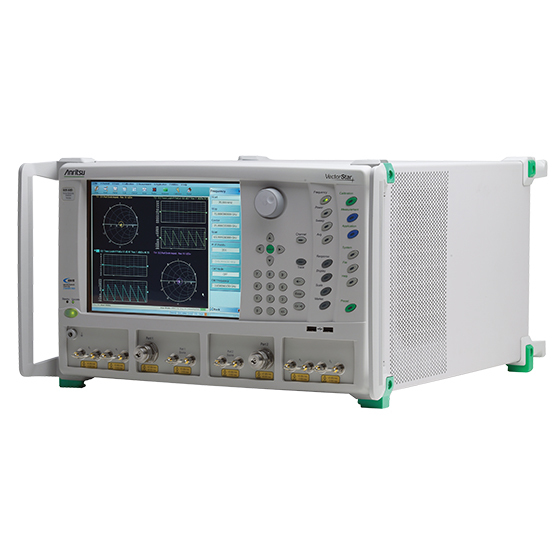 Anritsu's VectorStar Vector Network Analyzer (VNA) uniquely combines design and measurement by including NI AWR Design Environment™ software as a standard feature within the instrument, as a separate application on your desktop.